Mumbai: It was at the Wankhede Stadium that Muttiah Muralitharan, the magician from Sri Lanka played his last international game, a World Cup final back in 2011. The moment could not have been bigger but the veteran could not be part of a second World Cup winning side as India famously won the most prestigious trophy in world cricket. Back at the same ground for Royal Challengers Bangalore’s important tie against Mumbai Indians, the off-spinner said he had erased the defeat from his memory. “Oh� that was a long time back. I have forgotten about that match as well. I was more than happy that we (Sri Lanka) beat India in the World T20 final (in Bangladesh last month),” chuckled Muralitharan. One of the senior most players in the IPL, Murali, who has had only one game so far in the seventh edition of the tournament, hinted that he may finally hang up his boots at the end of the season. “This could possibly be my last season. I decided to play these T20 leagues (IPL, Big Bash and the Caribbean T20 league) because I had nothing to do after I retired. 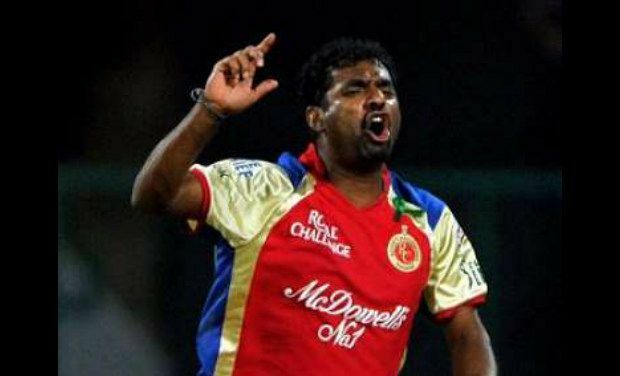 I was getting bored,” said Muralitharan. The highest-wicket taker in Test cricket (800 scalps) and one-day cricket (534 wickets) believed that T20 was not the right medium to judge a spinner. Muralitharan also backed Harbhajan Singh to make a comeback to the Indian team. The master spinner felt Harbhajan just needed to continue with his routine. “It is not like Harbhajan has done anything wrong. R. Ashwin has done very well in the last two years along with Ravindra Jadeja. “It is very rare that two off-spinners are picked in the XI and thus Harbhajan will have to wait for his chances,” he said. Murali also backed the under-fire Yuvraj Singh to have a successful run in the ongoing IPL tournament. “We have had ups and downs but at the same time our batters have delivered in crunch situations. “Yuvraj is peaking and there is still a long way to go. Hopefully, he will deliver in important games like playoffs and help us win the final this year,” the Sri Lankan legend added.